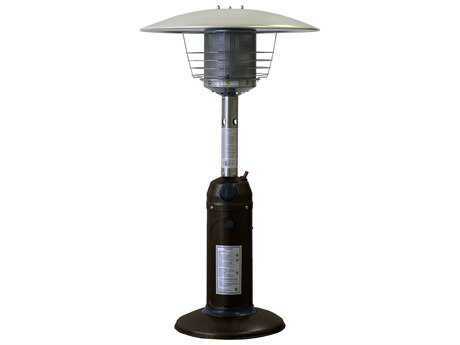 Our wide variety of table heaters exclusively use propane fuel from small propane canisters. The canister is hidden by the stylish base of each table style heater, enabling for a more developed appearance that blends with your home and patio decor. 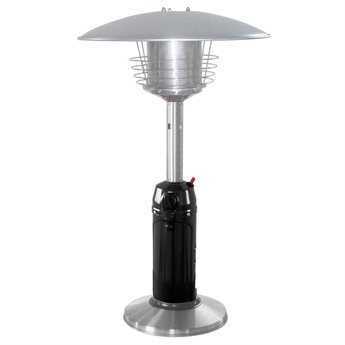 Their small shape gives these propane table heaters advantageous portable characteristics. They are the ideal size and shape, and our inventory carries from expert brands AZ and Lava Heat Italia. 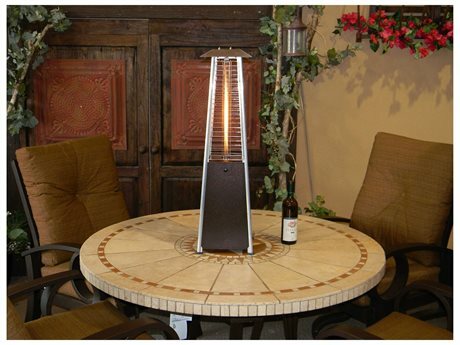 Whether you are entertaining outdoors, or enjoying some peaceful alone time, a tabletop heater will look unique on any surface on your patio. Affordable, exclusive, and easy to operate, our propane heaters are easily transported anywhere you need to escape from the cold. Constructed to be tip-resistant and durable, these table style heaters have built-in safety features, making them a safe decision for you, your family, and guests. The AZ 38 model has a steel hood and base, with an 11,000 BTU input, and is 38’ in height. A burner screen guard and burner cover prevent any hazardous accidents and a weight plate is included for added stability. The AZ 38 model is available in hammered bronze, black and silver steel, stainless steel, and hammered silver steel. 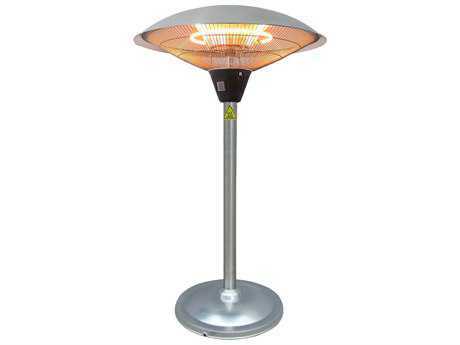 The Lava Heat Italia propane heater is truly the future of outdoor heating. Weighing only 18 pounds, and operating for up to six hours, this luxury propane table heater has 10,000 BTU’s and an easy start electronic igniter for instant use. 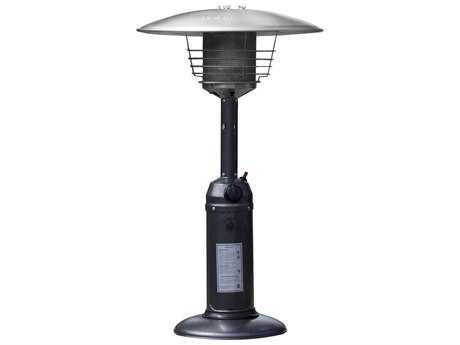 Displaying a soft spiral flame that is unique to the model, our table style heaters are able to hold a one pound propane tank. 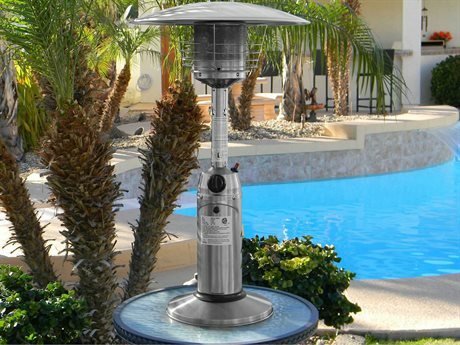 A five year warranty and stainless-steel construction make this heater a one-of-a-kind addition to any area of your patio or home. 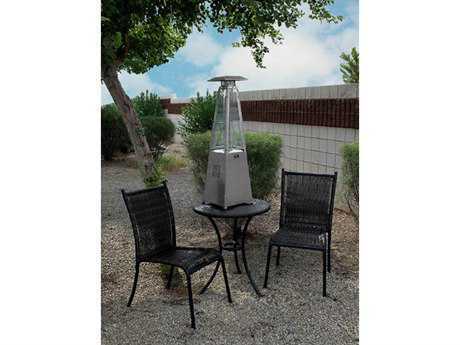 The beauty of our patio table heaters is that they are adaptable to fit virtually any environment, and don’t require lots of maintenance, making them a fabulous gift. User-friendly to accompany people of all ages, our table style heaters can be used anywhere from end tables to outdoor bars or the coffee table on your front porch. Try putting a pair next to some tiki torches in the summer time for a festive feel. 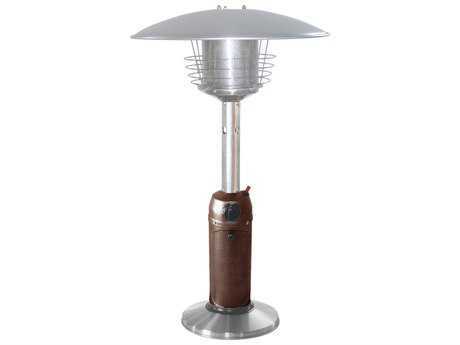 Regardless of where you place them, we are confident that you will love your table heater and will be satisfied with the diversity of its features.